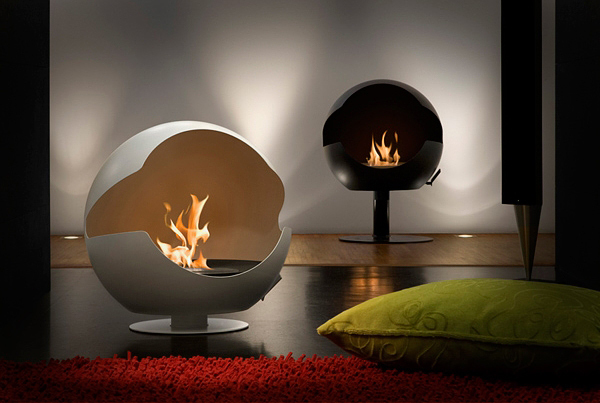 Today we continue to show you elegant bio ethanol fireplaces. 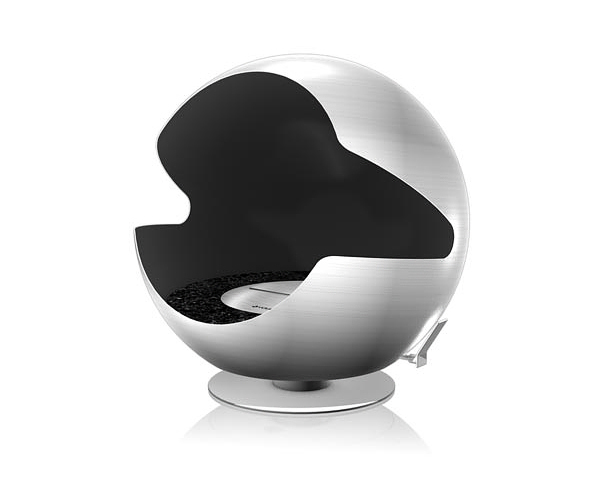 This time this is Globe collection by Sweden company Vauni. Globe is a flueless designed fireplace that combines tradition with classic form in a modern interpretation and will enhance any modern outdoor or indoor scheme. 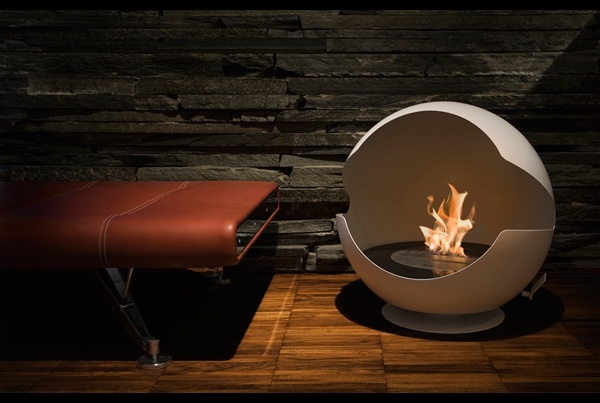 Whether free standing or elevated by a foot, this fireplace can be easily rotated 360 degrees for optimal enjoyment. 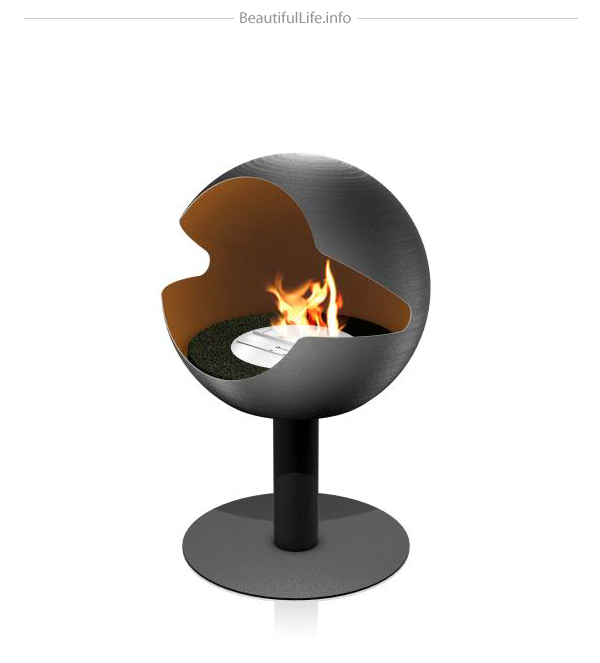 Globe is designed by Markus Grip and is available in two variations; cast iron with a matt finish or polished black granite. 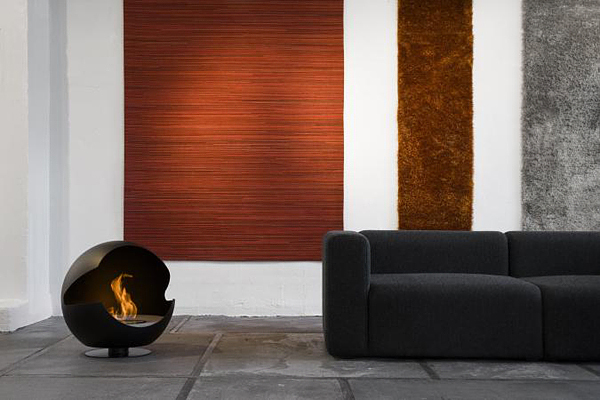 If you want to buy this fireplace – visit Vauni. 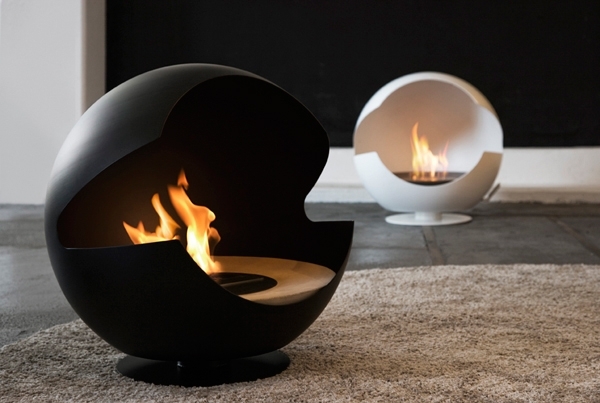 These round ball like fireplaces are so cool looking! Very retro as well. Also, seem easy to use by rotating the opening where you want it and you can have it low to the ground or raised off the ground. 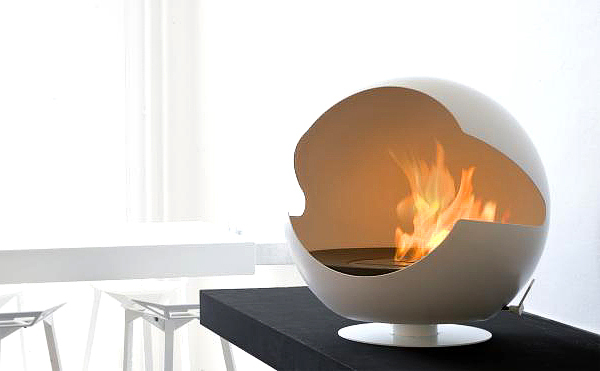 Not useful if you have an old build-in fireplace in the house you live. Putting this in front won’t hide the ugly old one. I would suggest updating an old fireplace with an insert. I have been shopping for a way to refurbish what I have, and an insert seems to be my only option or just rip the whole fireplace out (too much of a remodel and cost, not doing that) Open for suggestions on what to do with old ugly fireplaces? Eco friendly, AND stylish! What more could one ask for? These look fantastic. Something different which I like, thanks for sharing. 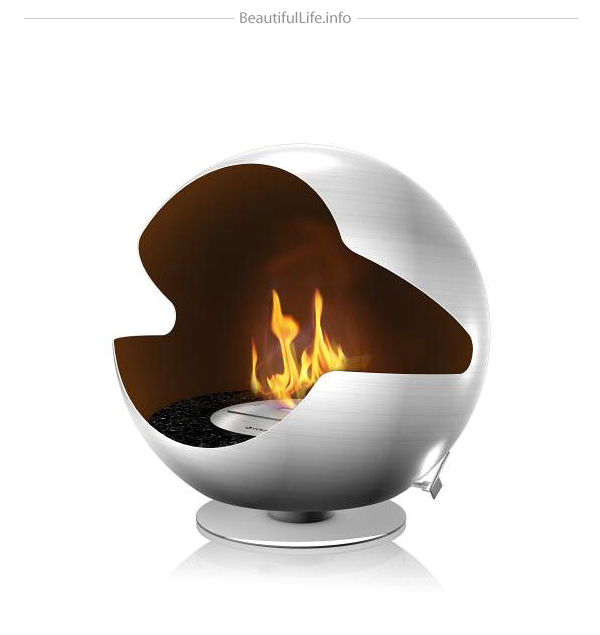 Those are very beautiful portable fireplace. 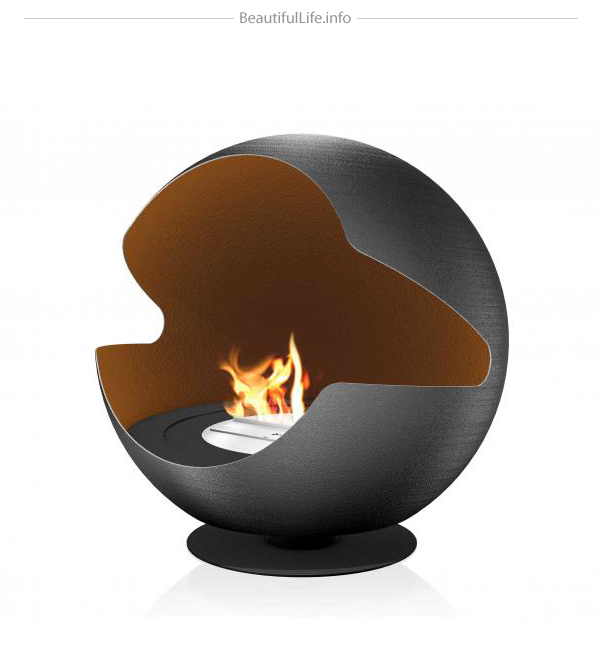 Bio ethanol fireplaces are becoming more popular these days especially at hotels and resturantes, since it burns clean and does not produce harmful chemical. 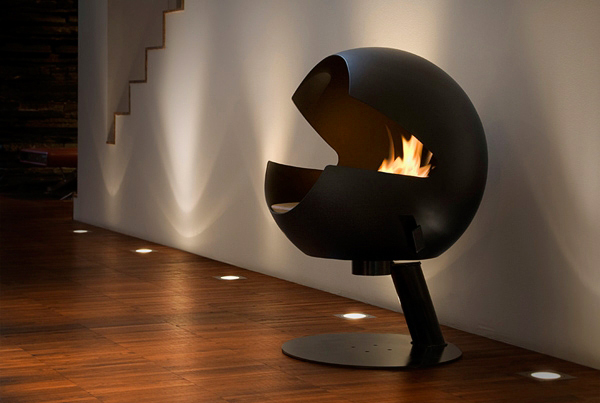 That’s a very unique fireplace. It looks like something in a futuristic Kubrick movie, like Clockwork Orange or maybe 2001: A Space Odyssey! 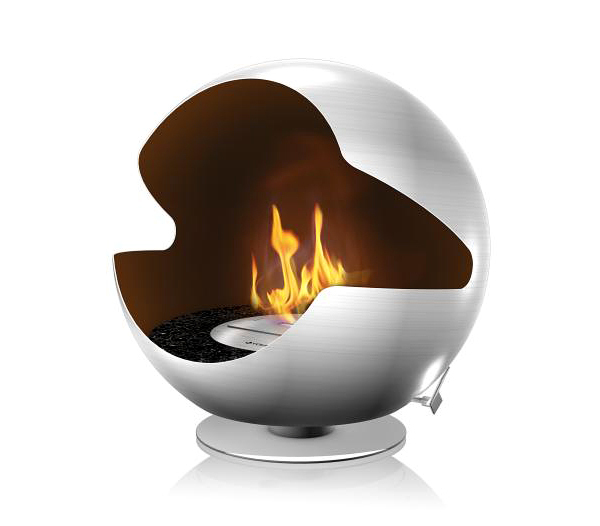 The bio ethanol is smart, because it burns so cleanly you don’t need to worry about ventilation. You just need to worry about radiating the heat out in an efficient way! Could you tell me what kind of metal is used for this fireplace? I guess it needs to be a metal that doesn’t retain much heat, like aluminum, right? So you can rotate it without burning yourself? Great design! But there will be smokes from it, not much, but the flue from ethanol is sticky and unpleasant.